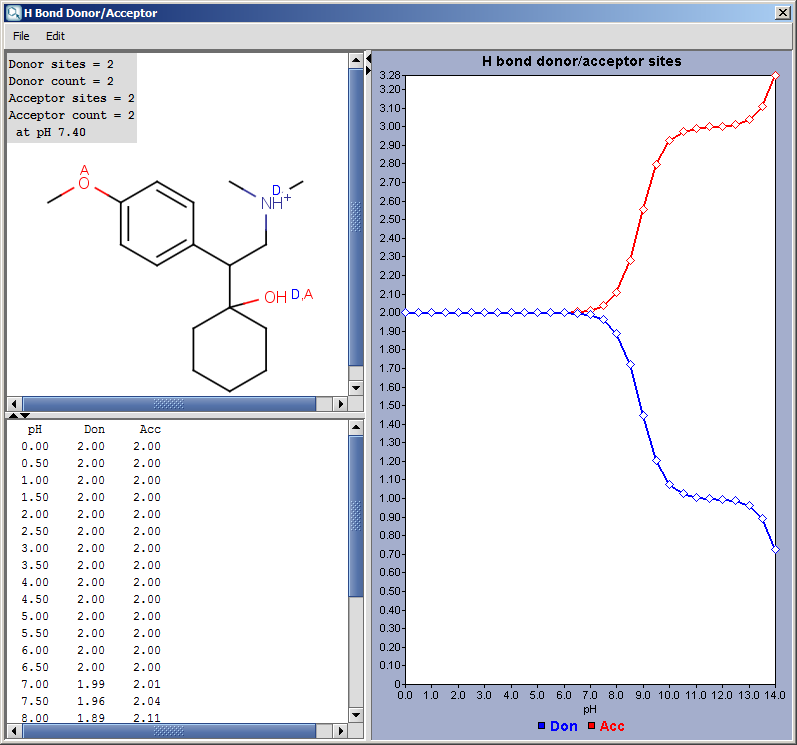 The Hydrogen Bond Donor-Acceptor Plugin calculates atomic hydrogen bond donor and acceptor inclination. Atomic data and overall hydrogen bond donor and acceptor multiplicity are displayed for the input molecule (or its microspecies at a given pH). The weighted average hydrogen bond donor and acceptor multiplicities taken over the microspecies and the distribution of their occurrences are computed for different pHs and displayed in a chart. The following window shows the results of a calculation. Donor count = the sum of the atoms in the molecule which have H donor property. Donor sites = the sum of the H atoms connected to the donor atoms. Acceptor count = the sum of the acceptor atoms. An acceptor atom always has a lone electron pair/lone electron pairs that is capable of establishing a H bond. Acceptor sites = the sum of the lone pairs on the acceptor atoms. 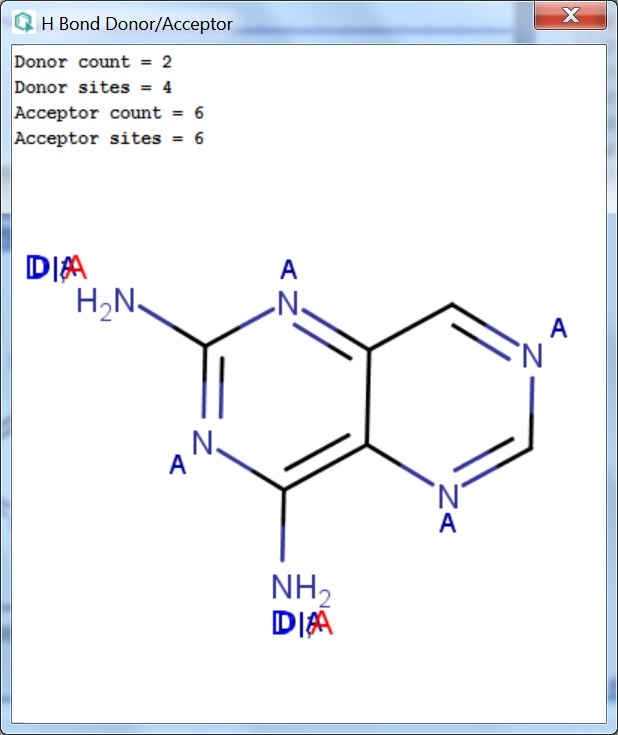 The following molecule has a Donor count of 2 and 4 Donor sites. It also has an Acceptor count of 6 and 6 Acceptor sites. Type: defined the type of calculations (donor or acceptor). Exclude sulfur atoms from acceptors: if set, sulphur atoms in the acceptors are excluded. Exclude halogens from acceptors: if set, halogen atoms in the acceptors are excluded. 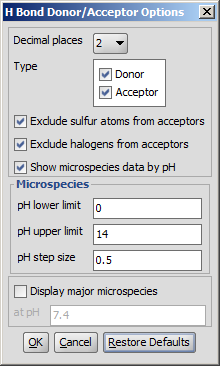 Show microspecies data by pH: the number of donor or acceptor sites vs. pH chart is displayed. Display major microspecies: the structure of the major form at the given pH is displayed.